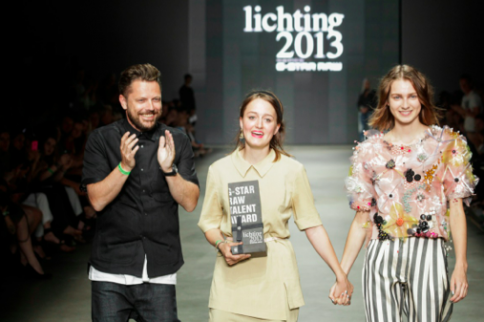 Yesterday the Lichting powered by G-Star show closed off Amsterdam Fashion Week, as it was the last show of this seasons fashion mania. In an amazing catwalk the 13 fashion graduates presented their final collections to national and international fashion professionals. With her graduation collection ‘Let the dust settle in’​​, a collection inspired by her style icon Lady Edith Sitwell, Henriette Tilanus won the big prize. Earlier this year she graduated at ArtEZ, institute of the arts, in Arnhem. Take a closer look at all the collections..